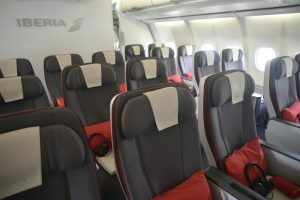 Iberia has presented its first Airbus A340/600 fitted with its new Premium Economy seating section to travel agencies, major companies, and the media. Iberia Maintenance will install the new seats on the aircraft already in Iberia’s fleet at its Madrid hangars, while the A350s the airline has on order will come factory-equipped with the new seating section. This summer, the airline will have five A340/600 equipped with the new cabin. Marco Sansavini, Iberia chief commercial officer, commented: “For us this aircraft shows how an exciting project takes shape. The Premium Economy class will be available starting in May on flights to Chicago, New York, and Bogota. In June, it can be enjoyed by passengers to Mexico, in July on flights between Madrid and Miami, and in August on flights with Boston. By the summer season of 2018, Premium Economy class will be available on all Iberia’s long-haul routes operating Airbus A340/600s and A330/300s, as well as the Airbus A350s that will join the Iberia fleet starting next year. 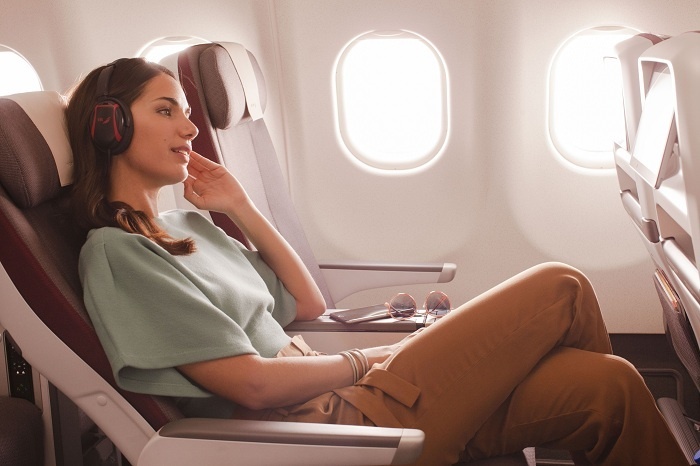 The key features of the new Iberia Premium Economy class include 20 per cent more separation between seat rows, as well as wider sears, at 48 centimetres. Guests in the new cabin will also receive exclusive service aboard, with a welcome drink, special menu, table linen, and a personalised toilet kit. Iberia is the leading carrier on routes between Europe and Latin America and it flies to 124 destinations in 48 countries in Europe, the Americas, Africa, Middle East and Asia.